The nuns at Holy Rosary School in the diocese of Camden would be so proud. Read the post, titled “The Best Books I Read in 2017,” HERE. (You’ll have to scroll down a bit; in all, 45 writers contributed.) “Best Books” is a 12-year-old tradition for the 40-year-old Catholic World Report, according to editor Carl E. Olson. Host Keith Roth went “Groovy” for the Nov. 19, 2018, episode of “The Electric Ballroom,” his Sunday night rock ’n’ chat show on WRAT-FM 95.9. Keith appointed me his co-host for the night, and let me spin some groovy old songs. Hear excerpts HERE. “Groovy” was reviewed by Jacqueline Cutler for The Star-Ledger on Dec. 10, 2017. Read the review. If you’re a luddite like me, maybe you’ll want to see the review as it appeared in print. See the page. Cutler’s “Groovy” review also ran in the South Jersey Times on Dec. 29, 2017, and the Times of Trenton on Jan. 12, 2018. I was interviewed by Derek Royal about “Groovy” for the Comics Alternative podcast. We spoke about the “flowering” of pop, the art of Mike Sekowsky, his students’ mystification over the Banana Splits … and Tiny Tim. Derek edited in some cool music and sound bites, too! Listen HERE or click below. 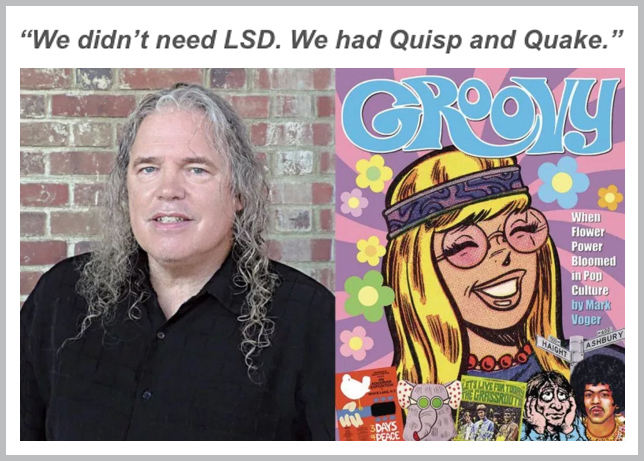 COMIC MIX: I was interviewed by Ed Catto about “Groovy” for his ComicMix column, which covers the book’s genesis and design, surprise along the way and “Groovy’s” premiere at New York Comic Con, where we met up. Read it HERE. BOBCAST: I’m now a two-time guest on Bobcast, a weekly pop-culture podcast by my “old” friend, writer/musician/educator Bob Cahill. We recently spoke about “Groovy” HERE. Last year, we spoke about Batman and “Abbott and Costello Meet Frankenstein” HERE. 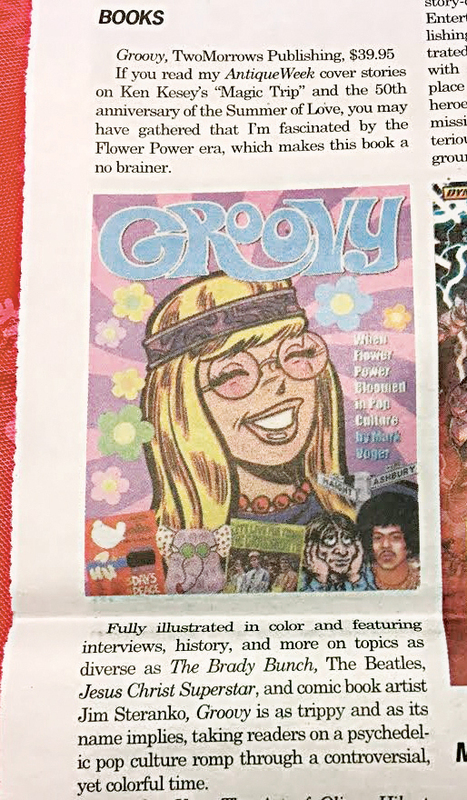 “Groovy” was blurbed in AntiqueWeek, a weekly paper with more than 400,000 subscribers — the largest paid circulation of any antiques and collectibles newspaper in the United States. A heartfelt thank-you to columnist Brett Weiss (who also gave us five stars on Amazon). AntiqueWeek is based in Knightstown, Indiana, and was founded in 1968 — the golden age for all things groovy. Click on the icon at right to read the blurb. I was a guest on “Classic Movies With Ron MacCloskey” on Edison TV, in an episode that began airing in Sept. 2016. The guest picks the movie; I chose “The Devil Bat” (1940) starring Bela Lugosi. Watch the program HERE. 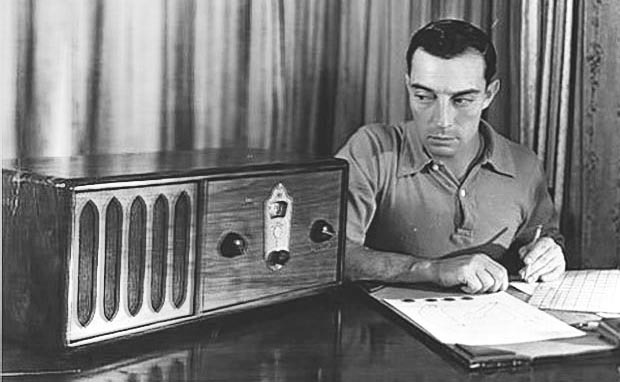 Read a transcription of the program HERE. Monster Magazine World, John Navroth‘s addictive blog about all things Monster Craze (with a focus on the monsterific mags of the era), posted an interview with me about “Monster Mash” on Feb. 20, 2016. Read the interview. You can spend months just catching up with what MMW’s been doing. The tag cloud is immense. MMW puts up entire issues of rare old magazines. You can click on every page and savor them. There’s a lot of great humor, graphics and gifs, too. This exploding-with-content blog is updated constantly. Even non-monster people would dig it. Visit Monster Magazine World. And John was a terrific interviewer. (No one else asked about using the Shock Monster as a cover boy, or whether I designed the pages in old-fashioned paste-up.) I had a blast. “Monster Mash” was reviewed by Jacqueline Cutler for The Star-Ledger on Sept. 6, 2015. Read the review. If you’re a luddite like me, maybe you’ll want to see the review as it appeared in print. See the page. The review also ran in The Times of Trenton on Sept. 11, 2015. I was interviewed by Wallace McBride for his content-rich “Dark Shadows”-themed website, on its Oct. 31, 2015, podcast. Listen to the podcast HERE. Read the abridged transcription HERE. I traded quips with ‘Mr. Media,’ a.k.a. Bob Andelman, on his video podcast interview show. (Previously, Mr. Media interviewed the woman I wanted to marry when I was in seventh grade: Raquel Welch.) I brought along my Frankenstein, Wolf Man and Mummy Soakys for show-and-tell, and had a great time with Bob. Watch the interview above. 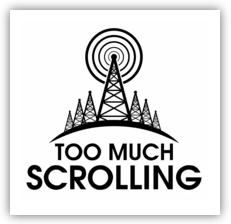 I was interviewed for the Oct. 27, 2015, edition of “Too Much Scrolling,” the pop culture mashup hosted by Steve Fodor and Chip Hessenflow. Listen to the interview below. (My 17-minute segment begins at the 19:12 point). My brother, Brian Voger, and I were guests on “The Electric Ballroom” — a rock ‘n’ chat show on 95.9 WRAT-FM hosted by Keith Roth — to talk about our album “From the Heart,” benefitting Steven’s Walk in the fight against Spinal Muscular Atrophy. Read the interview. Brian put the audio on his website, which includes nice, crisp versions of seven “From the Heart” songs. Listen to the interview. NJArts.net, an invaluable go-to source for the arts scene in New Jersey, helped to spread the word about “From the Heart” in a post you can read HERE. Find out more about “From the Heart” at my brother’s website, Vogerland.com.